(1) For the general case of a variable amplitude stress history, a stress spectrum has to be derived (see 2.2). In practice the complete spectrum should be applied in at least 10 identical sequences with the same stress ranges and R ratios, but with one tenth of the number of cycles. 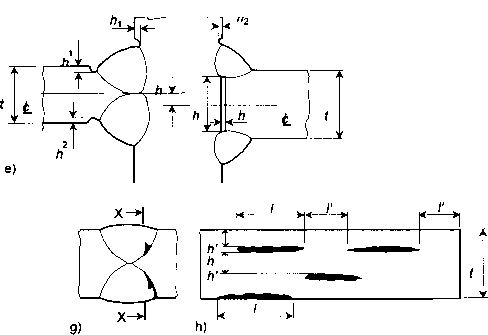 The block with the greatest amplitude should be applied first in each sequence (see Figure.4.5.1). The incremental crack growth is calculated using the crack growth polygon for the appropriate R ratio, for each block of constant amplitude stress cycles. (2)In the region of welds, unless the residual stress pattern is actually known, either a high R-ratio (R = 0,8) or a Kma* constant crack growth curve should be used. (3) The crack length faf is integrated on this basis over until the maximum required crack size a2 is reached and the numbers calculated.